Max, in a Thai military base on the Cambodian border. I would not have read this book had it not been called to my attention by a comment on my previous review of "The Last Pirate" by Tony Dekoupil (published on Amazon April 8, 2014). This comment by "Michael" says: "Trudie, If you liked The Last Pirate, then you'll love the book I had read titled, "HERB TRADER" by A.R.Torsone. This captivating true story was a page burner. Herb Trader, is so compelling that I'm driven to tell everyone to also read this great work of literature." I will have to admit that if Dekoupil's book was worth 5 stars, this one was worth equally as many for its narrative power. Regretfully, the Kindle edition that I ordered (to avoid adding further to my already over-crowded shelves) had some extreme peculiarities that at times made reading difficult. Still, as an eye-opener concerning the corruption and machinations of the US Government in the late 1990's relating to the politics of marijuana export from Southeast Asia, this book is peerless. And indeed, Torsone's story deserves to be elevated to textbook status when serious discussion of the absurdities of the "War on Drugs" and especially marijuana prohibition is undertaken. Truth is greater than fiction and this memoire reinforces that notion. Truth cannot go back and rearrange the characters to fit a story line or script different events. Truth demands a more full accounting. My reading session began while sitting on my sofa and did not end until I had finished the book. A great book leaves one wanting more and I did! I am not going to let you know what happens in the world of `Max' but suggest to the reader that the story goes far beyond one of herb trading, treachery and secrecy. On a deeper level it is the tale of a man who struggles with what life dishes out; the daily struggles, choices and our need to connect with others and our need to love. For some that is their personal incarceration. In then end `Max' gifts the reader to a more powerful lesson; life is a journey that is not always clear, straight or without obstacles. Ultimately it is knowing how to interpret our paths in a positive way, without regret, that enables us to be our best. Thank you for a great read. HOLLYWOOD FILM MAKER GEORGE GALLO, AND AUTHOR ARTHUR TORSONE, PITCHING THE HERB TRADER FILM AT THE ARCVIEW EVENT IN DENVER, CO. (see photo at end of page). Art Torsone, through his gripping memoir Herb Trader, advocates the repeal of the criminalization of marijuana laws by exposing corruption at the highest levels of our government. The CIA, State Department and other US agencies, by deceitfully using him, regardless of his illegal activities, attempts to overthrow a foreign government and rig an election all in the auspices of fighting the supposed war on drugs.Mr. Torsone, an admitted pot smuggler, refuses to engage in trading in cocaine and heroin, which is more lucrative and easier to smuggle due to its higher value by weight. If his illegal activities were all about money, he would have surely been engaged with the harder drugs. This lack of hypocracy legitimizes his anti prohibition position and it will surely cause those whom believe that putting marijuana in the same catagory as cocaine and heroin to reconsider their position.Mr. Torsone's first person account takes place from the late seventies to the late nineties when he was the major supplier of marijuana in the US. He takes us from New York's Hudson Valley to the deep south, northwest, Jamaica and finally to southeast Asia where his longtime partners and friends, in cahoots with corrupt US officials, attempts to use him as a discardable pawn in an international chess game.Despite the several acts of betrayal against Mr. Torsone, he also depicts episodes of loyalty and honor among himself and a few of his fellow smugglers. There is also courage and kindness among the bribery, corruption, thievery and violence. although Mr. Torsone's operations engaged in bribery for protection, they refrained from thievery and violence themselves.Herb Trader is a suspenseful true story thriller of the life of a man who stayed true to his morals despite the perils and treachery that is wrought in his chosen profession. 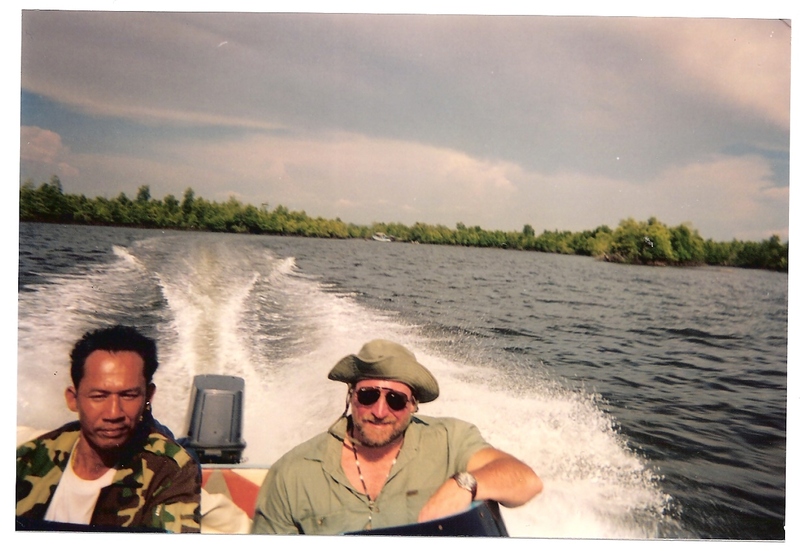 Max, and General Di Mai, a Khmer war lord, en-route to the generals clandestine military base ...where no westerner had ever been. Herb Trader is one of the most gripping stories I've ever read - all the more so, because it is true. In 1998, one of the biggest marijuana dealers on the face of the planet, a man known to many simply as "Max", became a pawn in a desperate political struggle in Southeast Asia. This is his incredible story. A.R. Torsone explains that by using complicated political choreography, the United States government began an elaborate scheme to swing a Cambodian election in their favor. Unfortunately, their plans derailed. Max and his friends quickly found themselves neck deep in a dangerous power struggle where mere survival seemed an almost impossible task. Following his capture, Max endured the horrors of T.3 prison, the incessantly droning insects, disgusting filth, punishing heat and food that couldn't tempt a drunken swine. Men and women were beaten and killed and the crematorium filled the air with the ashes of the dead. Huge ransoms were demanded for the lucky few, frantically raised by desperate families in the outside world - and still, Max and his friends remained prisoners. Max should have died in T.3 prison, far away from his wife and loving daughters living in the cool, green woods of the northeast United States. The government's gaping breach should have been plugged by his death and no one would have been the wiser. Somehow, after enduring months of squalor, illness and mind-stealing torture, Max was freed to return to his beloved Ahm. Unfortunately, their joy is short-lived. Max is recaptured and now presumed dead. The reader gasps as the beautiful Ahm prepares to kill herself, certain that her beloved Max is no longer among the living. Can anyone reach her in time to tell her the truth? This is a riveting story of adventure and terror on the high seas, love and deceit, smuggling and marijuana trading, espionage, criminal activity, and political brainwashing worthy of Hollywood's finest. As a biography, Herb Trader provides a powerful look into the mind and psyche of one of the biggest marijuana dealers of the modern age, but it is also a telling account of a political coup and subsequent cover up that should have set the world on its ear. If only we had known the truth. If only we had known. Once you pick up the Herb Trader it's hard to put it down again. Bursting with laundered cash, espionage and double-dealing CIA operatives, the storyline smacks of 007-style splendor but when joined by divorce, drowned ocean liners and decade-long prison terms we see just how fast the highest-stake reveries can turn into ever harsher realities. For Torsone the answer is in a heartbeat. His book is a work of pure passion. Call it a training ground to the warrior poet or the memoir of a spirit unhinged--whatever you decide, the one undebatable fact remains: it comes from a heart so broken that it is a sheer miracle his words ever made it to print. Page after riveting page, we sense Torsone trading the trickery and tribulation of times past for the textual triumph of a life literally lived to the farthest stretches of the planet and back. Thus far be it from a simple testimonial, A.R. Torsone's personal tragedy becomes a thing of transcendence in that it touches us at the core of our very being and, dare I say (like Shakespeare), the sine qua non that elevates it to the provenance of legend. Highly recommended. 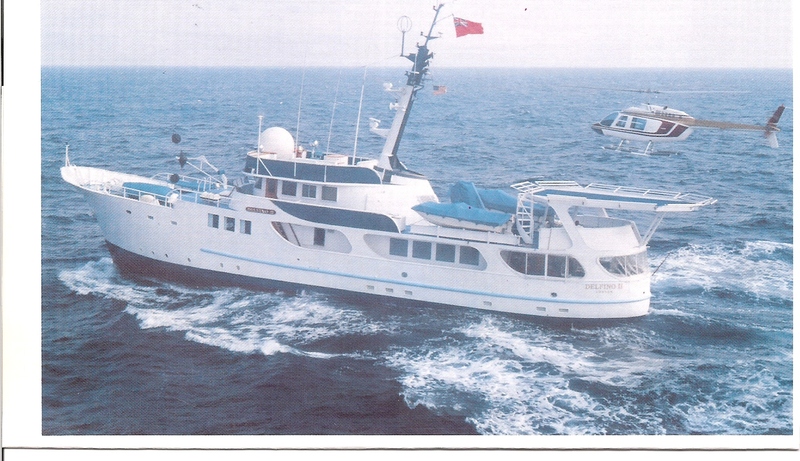 The Delfino II, the super luxury yacht that herb money built. Read more about Michael Forwell's creation and other herb vessels in the new book, HERB TRADER. The perils of smuggling usually makes for good reading and A.R. Torsone's Herb Trader doesn't disappoint. Set in the '80s and '90s primarily in Southeast Asia, Torsone was at the center of a ring that imported tons of marijuana from Thailand. But a trip to Cambodia landed him in a nightmare he barely survived to tell and write about. While Torsone isn't a professional writer, he manages to hold his own with his deep command and understanding of the book's premise: moving marijuana on the high seas. After several failed attempts to work with Rastas in Jamaica, Arthur (a.k.a. Max) put together a team of players with contacts in the Golden Triangle. Max soon parlayed his gambit into a multi-million dollar pot operation. Unhappily married with a family in the States (first in Woodstock, New York, then Pennsylvania), he found true love with Ahm, a Bangkok beauty. 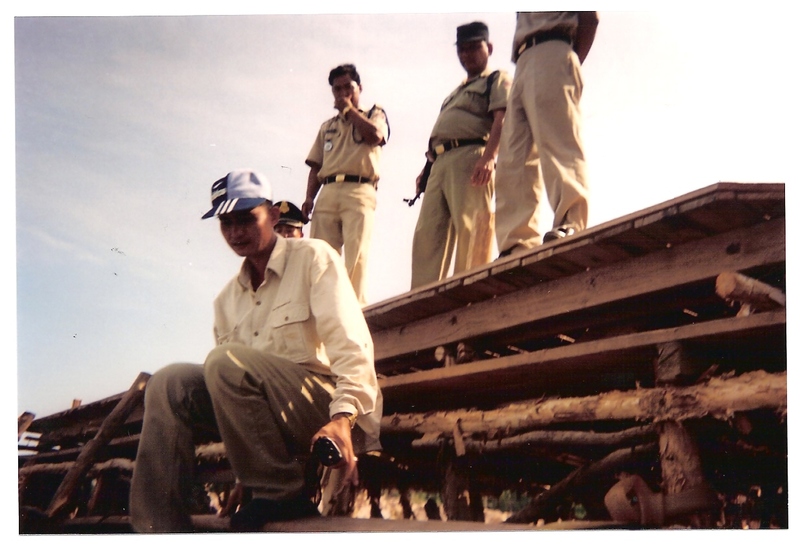 But once he started dealing with corrupt Cambodian military, politicians and war lords, Max was captured and jailed. The last quarter of the book is harrowing, like Brokedown Palace or Midnight Express. Ravaged by hunger and sickness, Max barely made it. 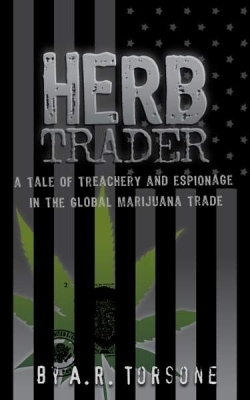 In 1997, the DEA shipped Torsone back the States where he served a 10-year sentence and wrote Herb Trader. "I will always work to reform U.S. marijuana laws," Torsone promises in the epilogue. "Take away the black market and you'll take away the crime. It's that simple." Steve Bloom - Editor/publisher - CelebStoner Entertainment and News. As one who worked in Cambodia during the time of his capture, Arthur Torsone is lucky to have survived his imprisonment in Phnom Penh's T3 Prison and lived to tell his tale. Arthur Torsone's Herb Trader is a story too bizarre to make up, his cast of characters includes: American mercenary twins, a flamboyant British pot dealer, double-dealing Khmer Rouge warlords, hardball Cambodian politicians, bent DEA informants, and more. Anyone interested in the marijuana trade, international intrigue, or "an easy scam in Southeast Asia" should read this candid insider's account of the marijuana trade. Peter Maguire, is the author of “Facing Death in Cambodia” and “Law and War: International Law and American History.” He has taught the law and theory of war at Bard College and Columbia University. I am so apprecitive of Max for writing this book. Anyone who thinks the U.S. Government is an honest broker of justice and freedom needs to read this true, but still unbelievable story. The stuff the CIA and DEA did will make you cringe. This book will hold your attention and make you think hard about our roll in the world. What an adventure, what a tragedy. 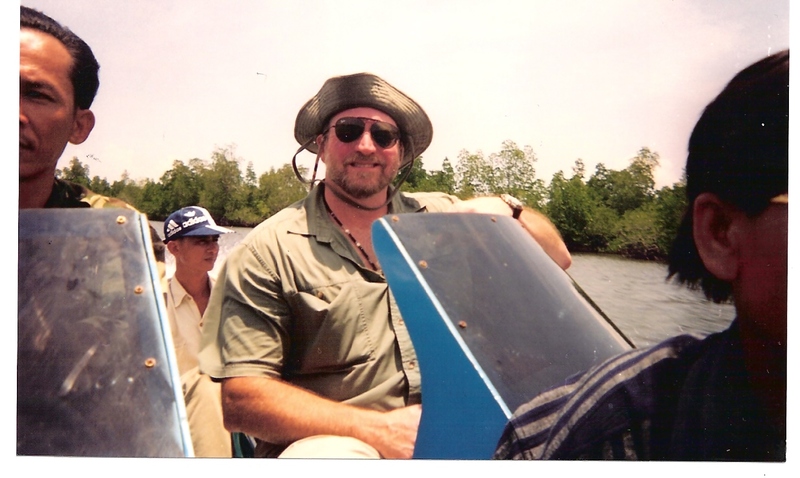 (Below) Photos taken by Royal Thai Navy intelligence Officer Captain Chinawatt, aka "Captain Chin," Max's partner in the covert Cambodian mission. "I WAS SURROUNDED BY CHRACTERS WHO WERE IN THE INTELLIGENCE GATHERING GAME." This is the story of a personal journey that informs and entertains on many levels. It is a story about a life of adventure, love, hardship, political intrigue, near death and redemption. It is an important story on another level. It informs the reader of the duplicity of American Foreign Policy as it relates to the War on Drugs. This duplicity trickles down to the criminal justice system where prosecutors, agents and confidential informants eventually elevate personal power and winning the case over seeking the truth. Imprisoned and left to die by your own government. Denied every human dignity. Not even afforded medication, food, water or clothing. Everything you believed in washed away. One man’s story that everyone needs to read. Arthur Torsone was fascinated with the golden weed, marijuana. He smoked it, sold it and even grew it on his farm. With the help of two twin brothers, a man named Daniel and many others he developed a lucrative business. But, at what cost and why? Enter the world of Arthur Torsone and learn what happens when you go too far and you risk too much just for that next operation and that next deal. Herb trader is about the sale and trading of the Golden Herb called Marijuana. Throughout the book we meet many drug dealers, sellers and traitors/traders who lead both Arthur and many of his friends astray. From Jamaica, to Bangkok to many other cites around the world, Arthur Torsone searches for the right Herb to sell in order to make the right score and live the life of luxury that he desires even if it means risking his relationship with his wife and daughters. Throughout the novel the author describes the risks he took to complete the missions to sell the herb and to provide for his family even though he was not present most of the time. With the help of many authorities, different partners and various crews, Max/Arthur risked his life, his safety and freedom at any cost. Max and his crew go around the world and allow the reader to enter the dangerous world filled with deceit, intrigue and political treachery. 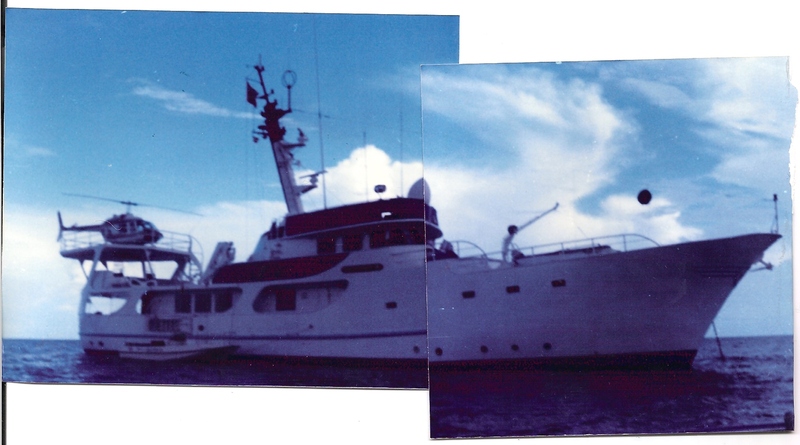 The rescue mission off the coast of Saipan was so clearly and vividly described that the reader could feel the heavy waves and experience the tropical storm along with Max, Captain Kirk, Captain Jimmy and the rest of their crew. As Max became more embroiled in his missions he lost precious time with his daughters. Then there is Ahm who risked her life for Max. Her total loyalty, bravery, and undying love for him proved valuable in times of extreme danger and peril. But, there is much more. As a Khmer warlord, CIA operatives, D.E.A. informants and double agents, the U.S. ambassador and so many more, Max learns more than a hard lesson as he is betrayed by those he thought he could trust. As he becomes more involved in a deal with the Ubel brothers and those in Cambodia the author will learn the true meaning behind the word trust. 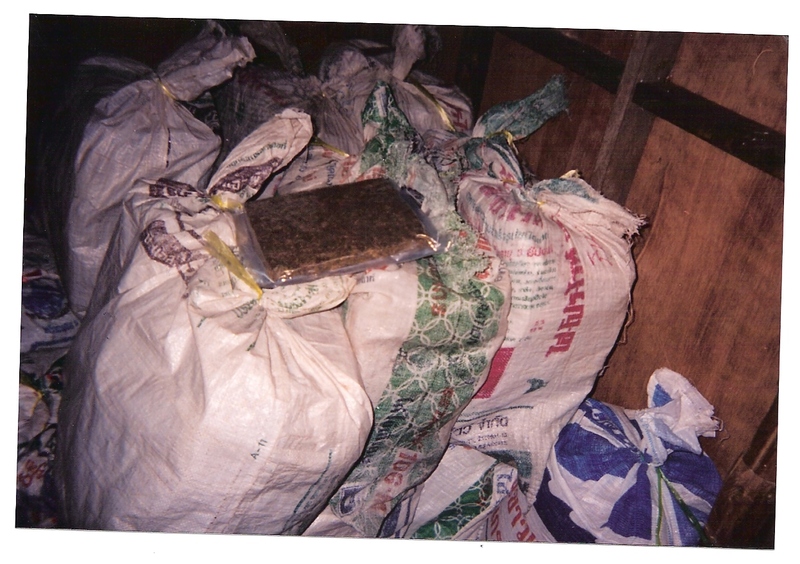 The conspiracy to import more than 12 tons of marijuana from Southeast Asia is foiled by federal agents. Other arrests are made in June in Cambodia and where he and many others wind up is worse than the conditions of any prison you can possibly imagine. On August 21 of 1998, inside of his prison cell Max learns the truth about who was behind the seizure of the Oktedy and his capture in Cambodia. The worst has yet to come as he spends time in T3 prison lacking, medicine, food, and government help. Allowing the Ubel’s to alter the election in Cambodia and its outcome, Max, his friend Mike (Bird) and others take the fall for these ruthless men. Ridden with bites, emaciated and enraged, Max needed to find a way to survive. Uncovering the truth behind the actions of the Ubels and the part they played with the DEA agents in fixing the election in Cambodia, was quite sobering to say the least. The real con began as Max and his crew went back to Southeast Asia to do another operation without realizing that this would be their downfall. Unraveling the mystery behind Hun Sen’s change of heart, denouncing Max and his men to the media and learning that the U.S. was lining his pockets with American dollars helps you lose faith in more than just the system. Hun Sen won the election in Cambodia by a small margin. The U.S. government wanted to entice him back into the operation allowing them time to set up the sting that would bring down Max.
. Why he is imprisoned is dishearten your faith in our government, many agencies and much more. Kidnapped by Khmer soldiers, left to rot in T3 prison in Phnom Penh, and kidnapped after being released by the CIA in front of the U.S. embassy in Phnom Penh, you would think nothing more could happen. What happened in the past will not prepare you for what happens next. Finally released and going to the U.S. Embassy to get his new passport and begin a new life, he is taken into custody and locked up again. Who is behind this you won’t want to believe? The red tape and the entanglements that prolong his freedom will dishearten the reader. Truths will be revealed at the end. Conspiracies, cover-ups within the U.S. government, high officials in all governments involved and innocent victims left in the aftermath. What finally happens will enrage you. Writing three tell all letters to the judge who would finally decide his fate, author Arthur Torsone, allows the reader to learn the truths behind what really happened, who was behind it and to what extent those behind the conspiracy went to use him as a pawn in a deadly and dangerous game of chess. The story tells of the methods used by our government to promote our foreign policies in poor and undeveloped countries in order to inflate their invisible economy with American dollars. “I may have been wrong.....but not quite as wrong as they were,” in the author’s own words. Written in the first person with descriptions of the events that allow the reader to visualize what the author went through, Arthur Torsone’s novel Herb Trader presents an inside look into the treachery, deceit and conspiracies that most people read about in the news but refuse to believe. As I read this novel I could feel the pain in Ahm’s heart, the fear in his daughter’s voices as they spoke on the phone and the disloyalty of those close to him and to whom he trusted his faith. Author Arthur Torsone allows his family and the reader into his mind, his heart and his soul to tell a story that everyone needs to read. Lied to, left to die in a prison and trying to take his own life this thought provoking, heartbreaking true story will shake your inner core and forever change your vision and meaning of the word truth. If you want to understand the world of marijuana distribution and journey into the underworld of moving tons of that herbal plant from one end of the globe to the other, you need to read this personal memoir filled with danger, intricate plots that are foiled and some successful and dangers that many would not survive. Why did this intelligent and smart man decide to become involved in selling the herb: to provide for his family. Why did he feel that this was his only route to success? Many people feel that success is measured by number of zeros in your bank account. I don’t think that is the only reason why the author really embarked in this business. There is much more that the reader does not really know. The truth will haunt you as you enter the prisons along with Max and Bird hoping they finally get the justice they both deserve. How far would you go to provide for your family and give them a better life? A country that is supposed to afford us our freedoms and protect our rights and liberty, Arthur Torsone’s novel paints a very different picture. Well spoken, well liked, admired by the traders, politicians, lawyers and judges that he encountered, our author brings the reader into a world so corrupt, so devious taking you back and forth along with him on this journey to find himself and a place he can call home. I truly hope you found not only a home but happiness and true love too. Down to earth and well written this novel is a definite must read. 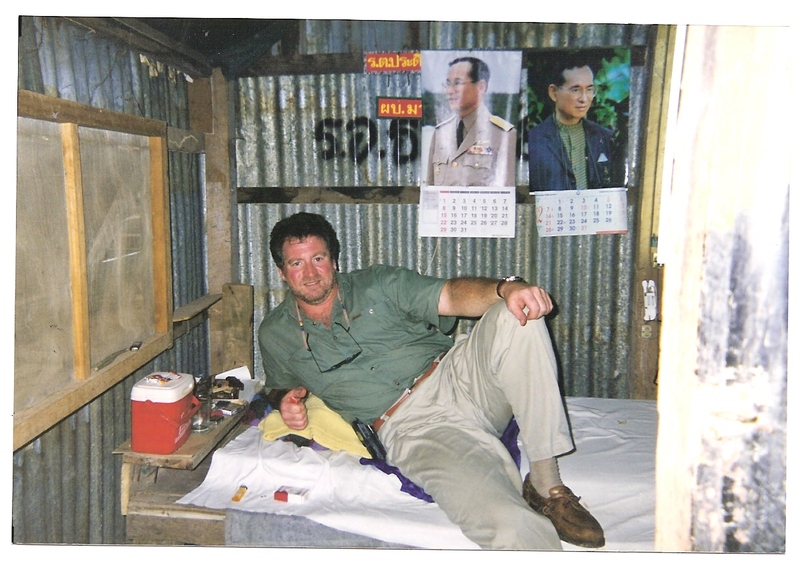 Max, in a Thai military base on the Cambodian border before his capture. 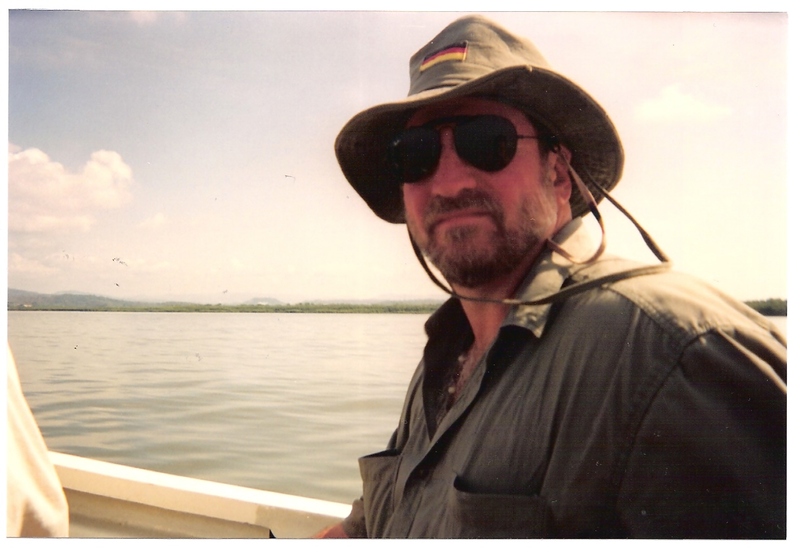 Max, in Koh Kong, Cambodia, en-route to General Di Mai's secret base to inspect the load. Max was told. " If we no trust you, you already be dead." Max had to walk barefoot through snake infested swamps and minefields in order to reach General Di Mai's secret base to inspect the load, (below). 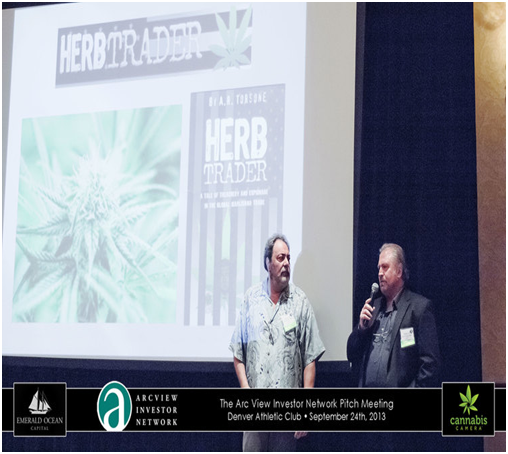 HOLLYWOOD FILM MAKER GEORGE GALLO, AND AUTHOR ARTHUR TORSONE, PITCHING THE HERB TRADER FILM AT THE ARCVIEW EVENT IN DENVER,CO.